Hull’s journey towards becoming UK City of Culture 2017, has moved up a level today, following this morning’s announcement of BP as its first major partner. It has now revealed its new brand identity, created by Jaywing. The “down-to-earth, provocative, yet welcoming” branding came about following interviews with more than 400 local people. “Our brand for 2017 is the way we will export the voice and personality of Hull across the UK and beyond. It’s also an important tool we use to raise our funding and engage communities across the city,” explained Hull 2017 chief executive, Martin Green. “People from Hull, and those who know this city, understand that it cannot be defined by a single story or idea. There is always more to the story. As we get ready to welcome the world in 2017, our brand will invite people to look again at the city as we reveal its cultural DNA through our marketing. “I’m proud to announce our partnership today,” he continued. “We are really looking forward to working with Hull 2017 to create something very special for the city and for audiences around the world. 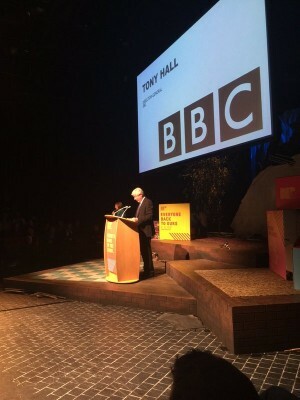 “I want the BBC in Hull to be a powerhouse of creativity. I want us to work with Hull City of Culture 2017 to try new things, to push boundaries and take risks. 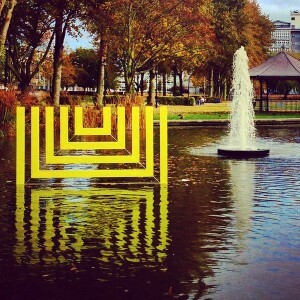 We want to experiment, innovate and help talent in Hull find their voice. BBC activity in 2017 will include a celebration of poetry, performance and the spoken word, inspired by Andrew Marvel and Philip Larkin. BBC Learning will link up with local schools and organisations to deliver targeted projects; while BBC Writers Room will be developing stories with new and established writers, inspired by the city.